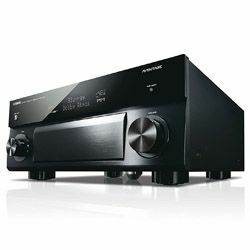 It’s difficult to choose the best receiver if you aren’t a professional in this sphere, that’s why I decided to compare Yamaha TSR-5810 vs RX-V485BL. 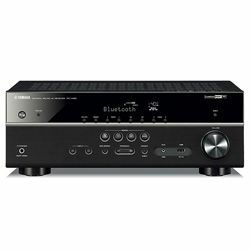 Even despite the fact that these receivers were created by the same company, the characteristics are quite different: TSR-5810 has a great compatibility, while its competitor produces a great sound quality and 4K picture. So, what should you choose? Read this comparison Yamaha RX-V485BL vs Yamaha TSR-5810 and make your decision! Both of these receivers have great additional features such as the smartphone remote controller, which is compatible with Android and iOS. However, I’m a big fan of a dual-zone capability technology, which can make users’ day-to-day lives easier, that’s why it’s a big benefit of Yamaha TSR-5810. Moreover, I didn’t manage to connect this RX-V485BL receiver via AirPlay even despite the fact that the developers say that it’s possible. 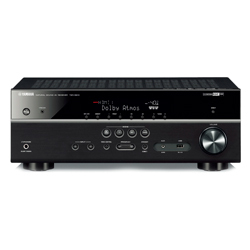 On the other hand, Yamaha TSR-5810 requires the Wi-Fi setup to use the smartphone remote controller. As for the sound quality, everything works great and the pure sound fills the whole room. However, if you watch TV via Bluetooth with the help of RX-V485BL, you will discover a strange sound lag. For example, it may appear when you switch between viewing cable and streaming YouTube videos. So, TSR-5810 is more compatible with other devices than RX-V485BL. Of course, both of them are compatible with Wi-Fi, Bluetooth, and even Alexa. To be honest, it was difficult to set up Alexa to TSR-5810 because there are no instructions, that’s why I had to look for help online. However, TSR-5810 has even the special mobile phone port. I’m disappointed because it’s difficult to set up these receivers. There are no manuals about how to use it. Just several printed set up instructions and that’s all. Well, YouTube always saves users’ lives. I’m glad that these receivers aren’t too heavy – only 17 pounds. It’s really difficult to compare the design of these receivers because they’re identical on the front side. I didn’t manage to find any differences. However, I would like to mention that these remote controllers are confusing. I spent more than 15 minutes to discover how it works. In addition, the quality of materials is very cheap as well. The mobile app design is intuitive, comfortable, and well-optimized. The ASR technology wasn’t implemented, that’s why users should avoid low-quality files. It’s relatively cheaper than its competitor. 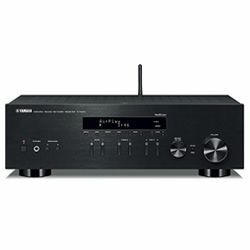 The construction of this receiver is very solid and reliable. Auto-calibration is uncomfortable and it takes a lot of free time.